Digital Pi works to derive meaningful value from marketing technology and automation for your business. We believe that martech tools are at the intersection of every facet of marketing, from content strategy to messaging. With our relentless focus on using technology to connect revenue to pipeline, Digital Pi fuses marketing strategies, processes, data and applications to make marketing technology solutions work for your business. We help our clients define the business outcomes they want in clear terms, and then apply our knowledge of marketing technologies to help them achieve their goals. They quickly discover the benefits of leveraging the rich, collective experience of our team to save time, reduce costs, and drive revenue. Our full range of services is born from experience and iteration – what actually works for our clients, not just trends or buzzwords. We focus on delivering tangible results and outcomes for our clients, and our rapid growth is a direct result of our customers’ success with marketing technology. Many clients choose to partner with Digital Pi for our award-winning Marketo consulting services. But we also support other marketing technology, including Iterable for B2C brands, and partner programs to boost your strategies around content, video, direct mail, lead routing, and demand generation. Our comprehensive consulting services help you at any – or every – stage of the journey. We don’t believe in a one-size-fits-all approach to consulting; we’re your strategic partner in success. And together we’ll create a custom consulting plan that includes the exact level of support you need through strategy, implementation, execution – and beyond. There’s a lot to consider when launching a marketing technology platform, not to mention a hefty learning curve in set up and operation. We want you to succeed. We don’t want you to get frustrated and fail to use your systems to their highest potential. That’s why we developed The Gold Standard framework. We have established and defined the industry Gold Standard by distilling the very best ideas drawn from thousands of hours of experience to develop an architecture that helps any company – from start-up to global enterprise – get the most from their marketing technology systems. 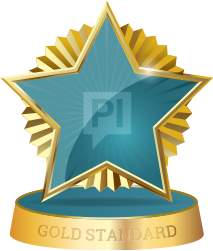 A framework that leverages the native capabilities of Marketo and other martech platforms, The Gold Standard creates a predictable approach to the process, design and optimization of scalable, repeatable and measurable marketing strategies. It provides a rich set of metrics that helps marketers quickly see what’s working and what’s not. This helps company executives validate strategic initiatives with accurate, trusted data in order to support marketing budget growth. methodology to drive real results. Digital Pi’s team includes highly skilled, industry specialists and marketing professionals who are experts at marketing automation and demand generation. Meet the team. As marketing technologists, we knew there had to be a better way to infuse the experiences won through dozens of projects into a best-in-breed architecture. Learn more about our methodology. Digital Pi is a collaborative team with rich and diverse skills. We value transparency and collaboration, and our respect and genuine desire to bring out the best shows in everything we do. Sound like you? Join the team!